Continuity of care means your family doctor is with you every step of your care journey, working to do what’s best for your health. It prevents tests from being duplicated and allows results to be reviewed promptly with your health history in mind. It also means that you commit to seeing your doctor regularly. For 69-year-old Stephen Nichol, continuity of care probably saved his life. In early 2018, he went for his annual checkup with his family doctor, Dr. Chris Bockmuehl at Crowfoot Village Family Practice in Calgary. 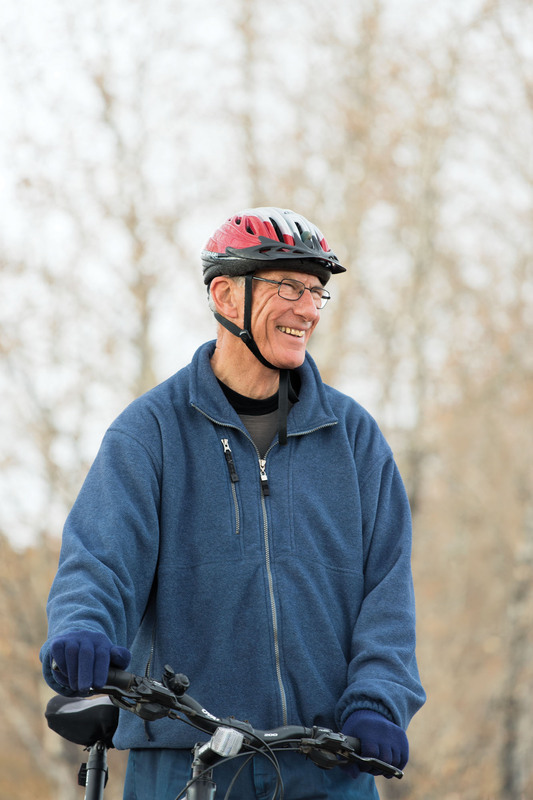 Nichol has had high blood pressure for a few years, but he’s an active person who takes good care of himself—walking and biking frequently. He appeared to have a clean bill of health. Still, Bockmuehl sent him for an ultrasound as proactive screening. The ultrasound revealed Nichol had an abdominal aortic aneurysm—a swelling in the aorta, the largest artery in the body. Aortic aneurysms tend not to cause any symptoms, making screening for them critical. Because Nichol had been a regular patient of Bockmuehl’s for the past eight years, he was part of his patient panel and flagged for the screening. What is a patient panel? “Panelling is a tool for physicians to track patients in their care journey,” says Dr. Farai Senzani, a physician who uses patient panelling at the Crystal Ridge Family Medical Clinic in Strathmore, Alberta. The benefit is fewer delays from diagnosis to treatment. Essentially, panelling allows family doctors to take care of their patients as a group, based on factors such as age, gender and disease. Doctors can look at patterns and trends to see what their patients may need, and work behind the scenes to ensure their good health. Patients don’t have to be in the office for their doctors to be working for them. If one patient has a medical issue, it can spur the doctor to look at their panel and see if any other patients could benefit from testing for that issue, as well. “Being a regular and identified part of a family doctor’s panel means that we can more easily identify folks who might need some screening test or who might need a medication change or refill,” Bockmuehl says. 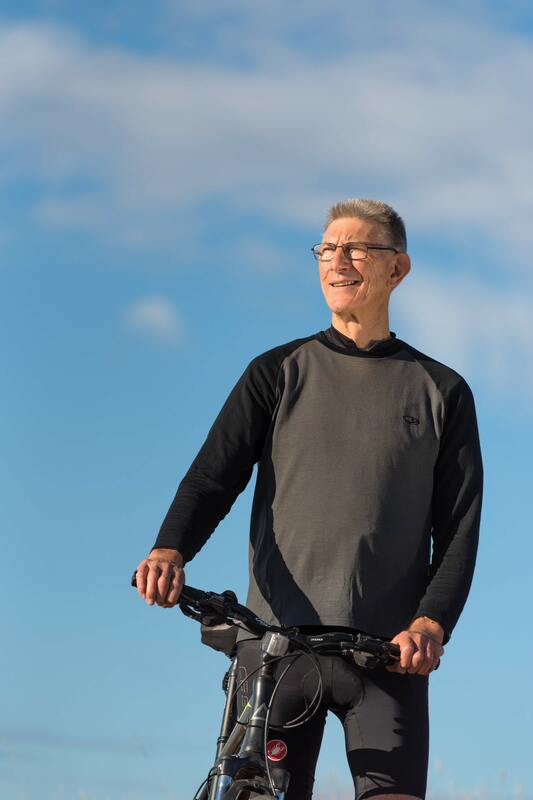 Patients like Nichol are marked for screening because new abdominal aortic aneurysm guidelines recommend one-time ultrasound screening for men aged 65 to 80. A similar approach is at work at Dr. Robert Cole’s family practice in Calgary. The clinic’s patient care coordinator identifies patients who meet the screening guidelines for abdominal aortic aneurysms, but haven’t had an ultrasound. These patients are flagged for Cole to send for an ultrasound at their next visit. Since Cole’s practice began identifying patients for screening, he’s found two patients with aneurysms, one who required immediate surgery. The screening also found patients with fatty liver disease, which is linked to heart disease. The key is a continuous doctor-patient relationship Patients play an important role in panelling. They commit to seeing their family doctor as their primary entry point for care. When you see the same doctor regularly, they get to know you and develop a fuller medical picture of you. Armed with that knowledge, your doctor is better equipped to provide customized and effective healthcare. Particularly with chronic illness, an ongoing relationship between a patient and a primary care provider leads to better outcomes, because with continuity comes trust. A relationship helps a patient feel more listened to and more willing to follow advice. Panelling helps doctors build continuity with patients, and also helps them track such indicators as weight, blood pressure and blood glucose that often accompany chronic disease. At Bockmuehl’s clinic, patient panelling is standard practice. Through panelling, he and his fellow physicians at the clinic provide continuity of care, and have more options for assisting their patients. For instance, Dr. Karen Seigel has started a panel management project for chronic obstructive pulmonary disease (COPD) patients. She aims to develop a more robust team approach that could reduce hospital care for highest-risk patients. Dr. Janet Reynolds is looking at patients in her panel to determine who may be taking a medication needlessly. If your family doctor is always your go-to person for health concerns, then they are aware of all of your health issues and can help you make more informed health decisions. Within a month of his aneurysm diagnosis, Nichol had a computed tomography (CT) scan, met with his surgeon and had surgery. Within four months, he was back on his bike, riding like a champion up to 50 km at a time. Patient panelling offers an ongoing and powerful way for family doctors to assist their patients with proactive care. Since his surgery, Nichol continues his regular visits with his family doctor. Nichol’s surgeon thought his aneurysm could have been present for 10 years. Before his surgery, Nichol was told he couldn’t lift anything more than 2.2 kg (five pounds). Now that he’s well on the road to recovery, he’s looking forward to seeing his granddaughter on her next visit. When you’re not feeling well, you just want to get better. So going to a walk-in clinic seems like a quick fix. But doctors at walk-in clinics cannot access your medical history. On the other hand, your family doctor knows more about you and can more thoroughly assess your condition. And they can add it to your primary health record. Information from visits to walk-in clinics or emergency rooms is not automatically sent to your family doctor. Your family doctor only knows about these visits when you tell them. Of course, walk-in clinic and emergency room visits happen since illness and injury can strike any time and anywhere. And sometimes you may have to wait to see your doctor. If you do visit a walk-in clinic or an emergency room, you may want to schedule a follow-up appointment with your family doctor so the visit can be added to your primary medical record. They can also advise if further care is needed. This builds the relationship between you and your family doctor. In turn, that can reduce emergency department visits and the number and length of hospital stays. A good doctor-patient relationship can also increase your quality of life and overall health. That’s why continuity of care is vital to quality care.